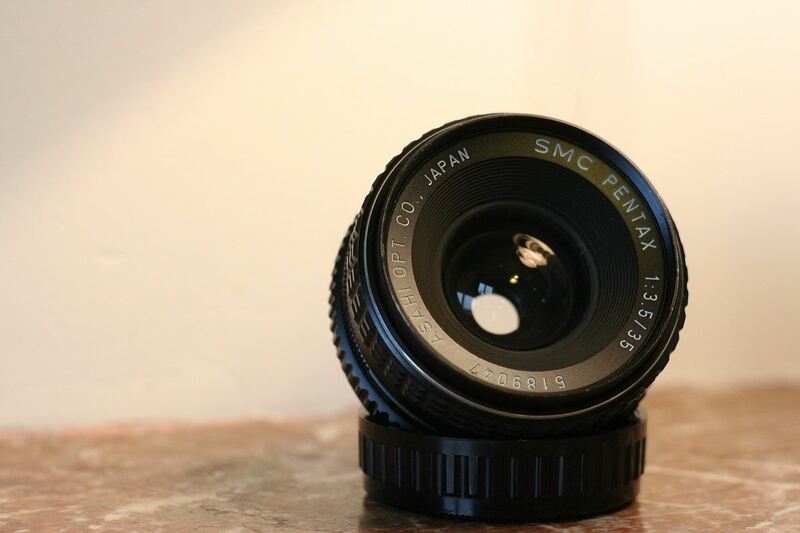 The SMC Pentax-M 28mm f2.8 is a wide angle lens made by Asahi Pentax during the second half of the 1970s and early 1980s. It features the PK mount, which marks the transition from the classic Takumar series to the modern Asahi Pentax lenses. Along with this 28mm f2.8 version, Asahi Pentax developed a faster f2 and a slower f3.5 versions. It’s worth mentioning that the new line of SMC Pentax-M lenses in the PK mount was richer than the older Takumar line with the M42 mount. The 28mm f2.8 SMC Pentax-M is a very practical lens for street photography thanks to its small size and light weight. The build quality is very good and the lens itself is super reliable, but some of the finesse of the Takumar series was clearly lost in the process of modernization. The aperture ring operates somewhat harder than we would normally expect probably because of the size of the lens. Some metal parts were replaced by plastic. The lens has very solid optics, it is sharp and renders colors beautifully. In terms of raw performance, the SMC Pentax series has the edge over the Takumar, even if some of the cool factor was lost. The lens weighs about 150g and uses a 49mm filter. The minimum focusing distance is 0.3m. It has 5 aperture blades. 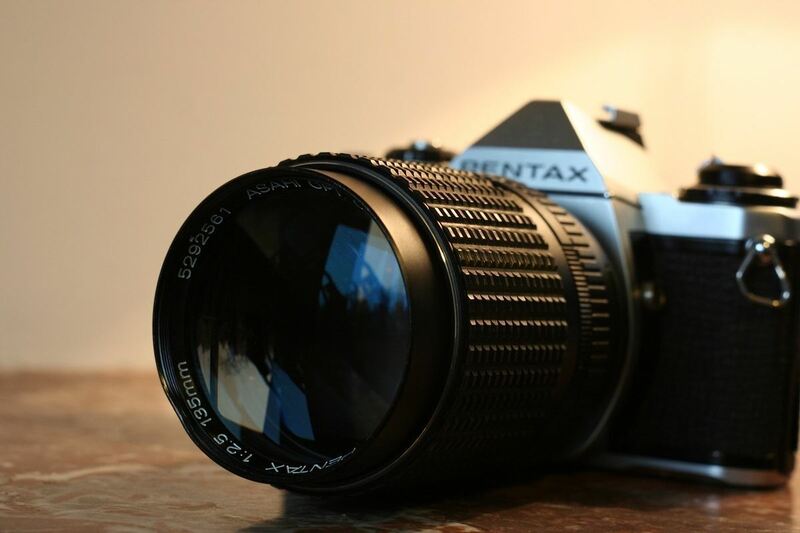 The SMC Pentax-M 35mm f2.8 is a wide angle lens made by Asahi Pentax during the second half of the 1970s and the first half of the 1980s. It features the PK mount which marks the transition from the classic Takumar series to the modern Asahi Pentax lenses. This fast lens has an even faster relative, the SMC Pentax-M 35mm f2, as well as a slower, f3.5 version. 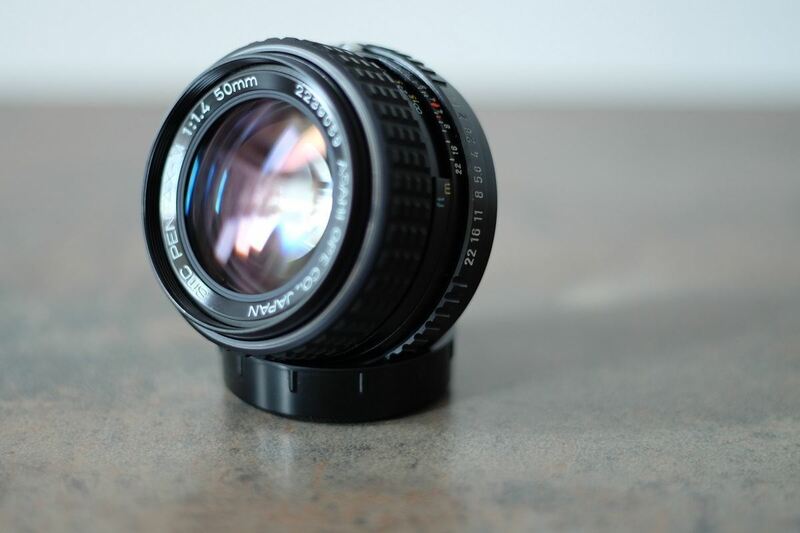 The latter has quite a number of fans and it is considered to be one of the sharpest 35mm vintage lenses out there. It is worth mentioning that the new line of SMC Pentax-M lenses in the PK mount was richer than the older Takumar line with the M42 mount. The 35mm f2.8 SMC Pentax-M is very nice for landscape photography or quick snapshots. The lens is very compact, as many other SMC Pentax-M lenses. It is sharp and renders colors and sharpness beautifully. The bokeh is very pleasant too. The build quality is very good and the lens itself is super reliable, but some of the finesse of the Takumar series was clearly lost in the process of modernization. The aperture ring operates somewhat harder than we would normally expect, probably because of the size of the lens. Some metal parts were replaced by plastic. Focusing is very smooth and very precise. The lens weighs about 170g and it uses a 49mm filter. The minimum focusing distance is 0.3m. It has 5 aperture blades. 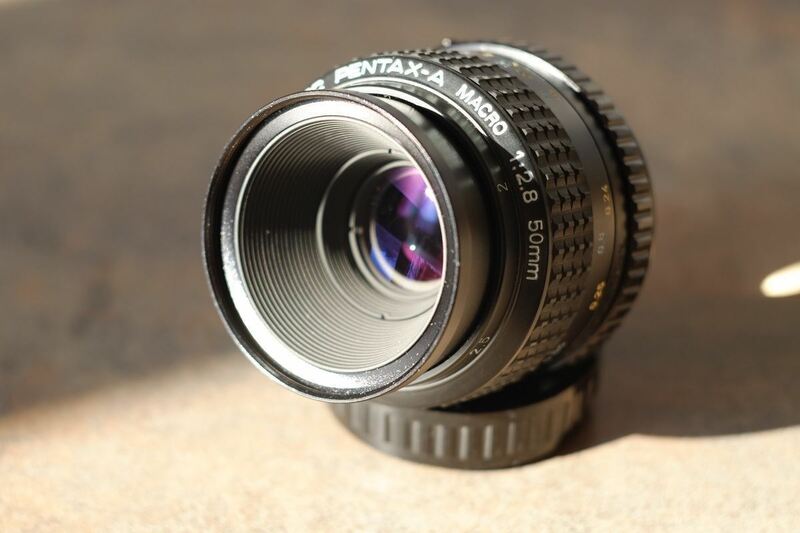 The SMC Pentax 35mm f3.5 is a wide angle lens made by Asahi Pentax during the second half of the 1970s. It features the PK mount which marks the transition from the classic Takumar series to the modern Asahi Pentax lenses. These SMC Pentax lenses (without "M") were the direct successors of the Takumars. The f3.5 version is the slowest of the Pentax K line of 35mms (vs f2 and f2.8 versions) but it is also the most appreciated and sought after. The 35mm f3.5 SMC Pentax is an excellent lens for street photography thanks to its size and weight. It is super sharp, it has rich colors and excellent contrast. The bokeh is average, but being a wide angle lens, we wouldn't care too much about that. The lens weighs about 160g and it uses a 52mm filter. The minimum focusing distance is 0.35m. It has 5 aperture blades. Maybe the last of the classical series by Asahi Pentax, the SMC Pentax 50mm f1.4 continues the heritage of the old Takumar lenses. It is beautifully crafted and has excellent optics. 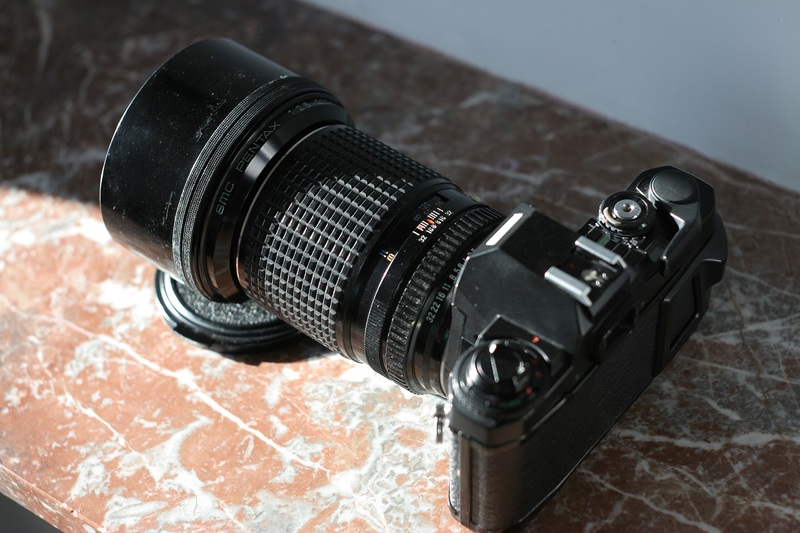 Design-wise, the SMC f1.4 is different from its predecessors, being slightly larger and heavier than older Takumar f1.4. From an optical point of view, the SMC f1.4 looks great, as it's a sharp lens, which has very good color rendering. It also has a newer and more aggressive multicoating layer than the old Takumar. This helps a lot as far as reflections and flare are concerned. We like the SMC f1.4 a lot, but we think that the Super-Takumar f1.4 is even more interesting when used wide open. The SMC Pentax 50mm f1.4 has a minimum focusing distance of 0.45m, weighs 268g and has a 52mm filter. 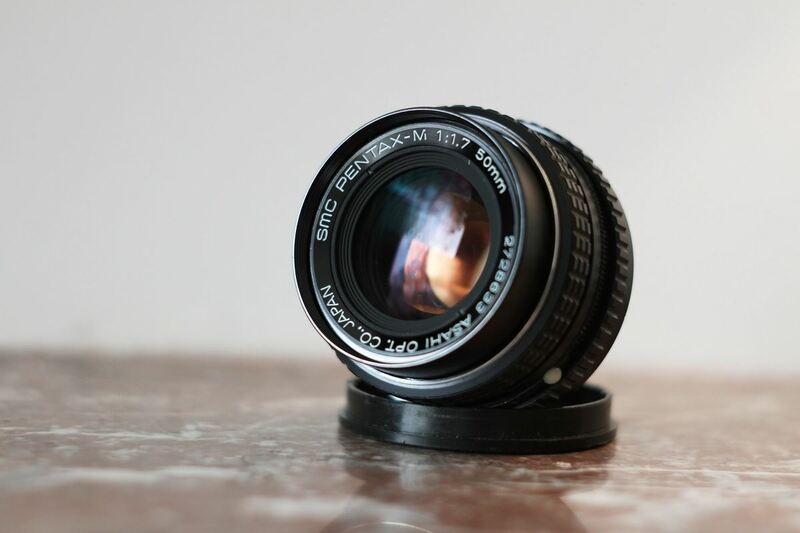 The SMC Pentax-M 50mm f1.4 is a fast standard focal length lens made by Asahi Pentax. It was produced from the late 1970s until the mid 1980s. This is our fastest lens of the 50mm SMC line-up, the other two being the f1.7 and the f2. The lens is a very solid performer. The build quality is excellent and the lens itself is super reliable, but some of the finesse of the Takumar series was clearly lost in the process of modernization. 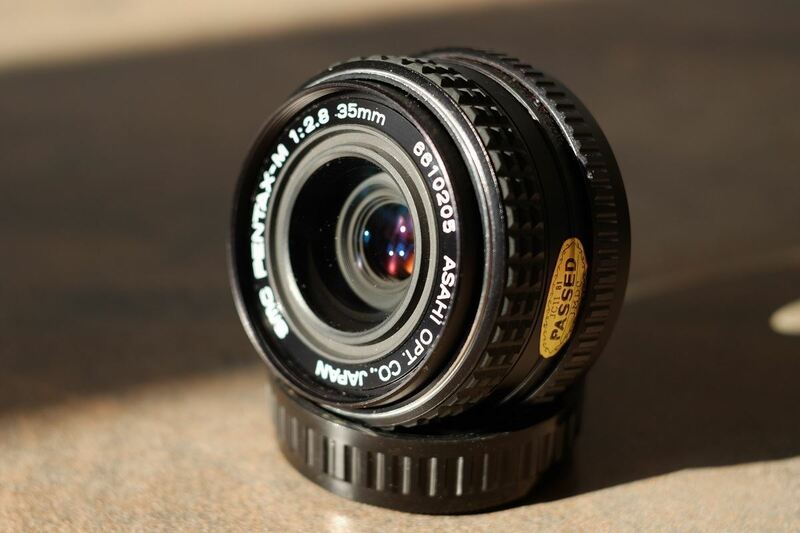 The aperture ring operates somewhat harder than we would normally expect it, probably because of the size of the lens. Some metal parts were replaced by plastic. The focus is very smooth and precise so the lens is enjoyable to use. The lens is very sharp, relatively compact and light; it has nice bokeh and strong colors. The SMC Pentax-M 50mm f1.4 weighs about 240g and uses a 49mm filter. The minimum focusing distance is 0.45m. 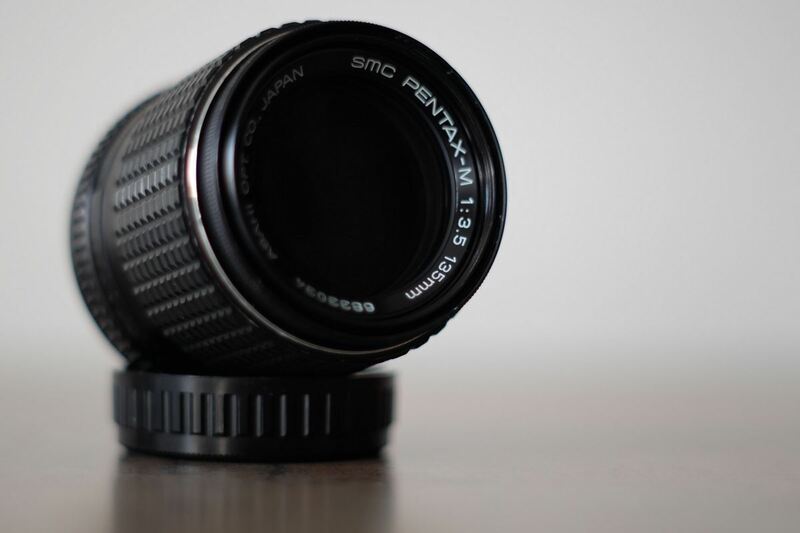 The SMC Pentax-M 50mm f1.7 is a fast standard focal length lens made by Asahi Pentax. It was produced from the late 1970s until the mid 1980s. It is one of the most appreciated standard classic lenses and it has quite a number of fans. 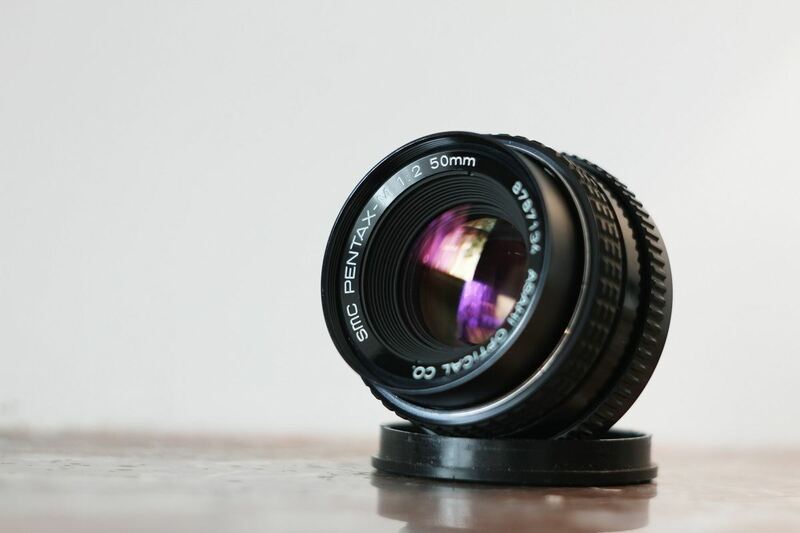 In terms of positioning, the 50mm 1.7 is the mid-range, standing between the f1.4 and f2 in the 50mm SMC line-up. It is a fast lens, very easy to use, compact and very precise. The sharpness is great and many consider the 1.7 one of the sharpest lens made by Asahi Pentax. You can use it wherever you like, as it offers countless possibilities like street photography, landscape or architecture. The SMC Pentax-M 50mm f1.7 weighs about 190g and uses a 49mm filter. The minimum focusing distance is 0.45m. The SMC Pentax-M 50mm f2 is a standard focal length lens made by Asahi Pentax. It was produced from the late 1970s until the mid 1980s. Although the slowest of the three 50mm Pentax 50mm lenses, the f/2 version is also very good. The lens is sharp and works smoothly and precisely. Also, it is light and compact, which means usability is also high. It is a very solid choice for an entry level lens and it can be used in street photography, landscape or architecture. The SMC Pentax-M 50mm f2 weighs about 160g and uses a 49mm filter. The minimum focusing distance is 0.45m. 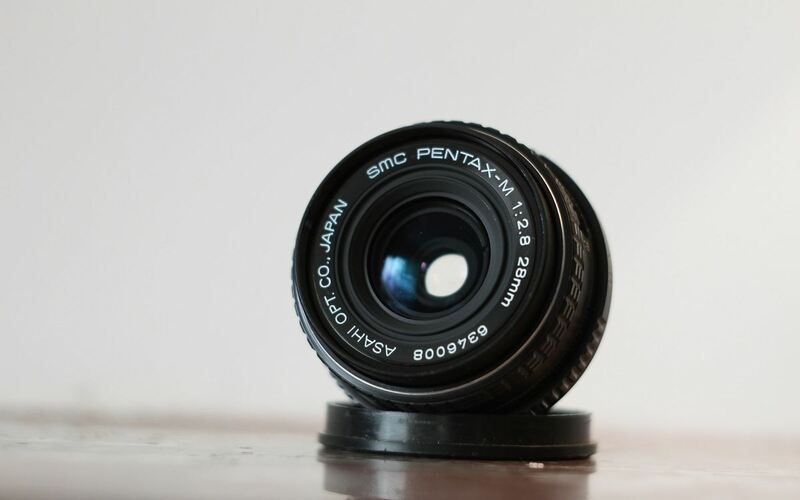 The SMC Pentax-A Macro 50mm f2.8 is a fast macro lens made by Asahi Pentax during the mid 1980s. It has a magnification factor of 1:2, which means that it will reproduce a half life-size image. Although it does not compete with the 1:1 macro lenses, the SMC Pentax-A Macro has several advantages: it is light and it has good maximum aperture, so it can also be used as a portrait lens. Optics and reliability are both excellent and focusing is smooth and precise. It has a minimum focusing distance of 0.24m and weighs 220g. Filter diameter: 49mm. 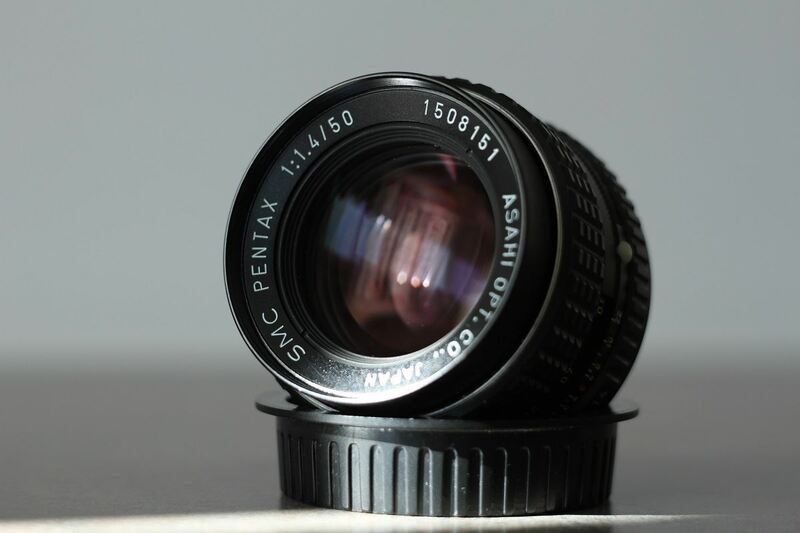 The SMC Pentax 135mm f2.5 is a fast telephoto lens made by Asahi Pentax. It was produced in two versions starting with the mid 1970s until the mid 1980s. 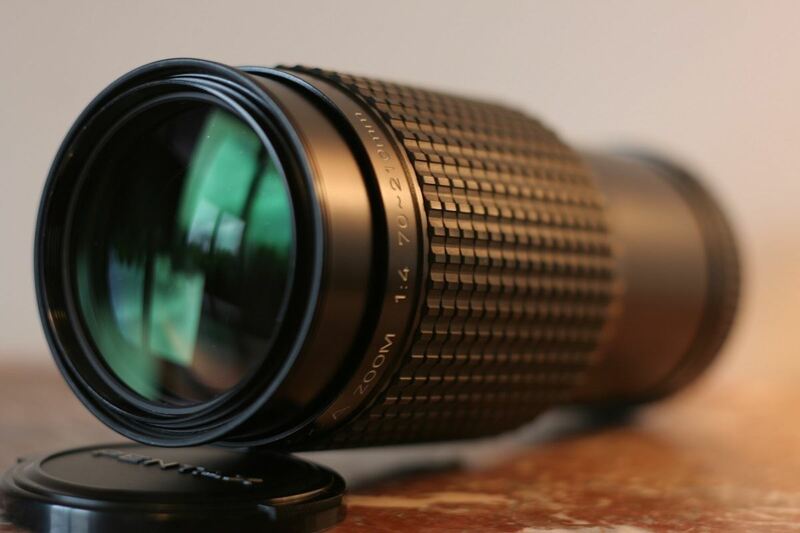 Based on a different optical formula than the 135/3.5, this lens is larger and much heavier. In terms of optics, the lens stands out as it offers excellent sharpness and very good handling thanks to the large grip. Build quality and reliability are top notch, as always. Minimum focusing distance is 1.5m. The SMC Pentax 135mm f2.5 weighs almost 500g; filter diameter: 58mm. The SMC Pentax-M 135mm f3.5 is a standard telephoto lens made by Asahi Pentax. Following the footsteps of the Takumar series, the SMC Pentax is larger and has a better multi coating layer. The lens proves sharp and reliable with very good sharpness across the range. At almost 280g, it weighs less than the 135mm Takumar thanks to lighter materials such as plastic and rubber.